"I lose myself in my roles, I don't want to lose myself in all this other stuff!" Time to revisit the past. A brand new official US trailer has arrived for Anton Corbijn's film Life, a drama starring Robert Pattinson as photographer Dennis Stock, and Dane DeHaan as his subject, soon-to-be-an-icon actor James Dean. The story follows Stock who strikes up a friendship with Dean while photographing him. The travel around the country, and Dean learns what it's like to be famous. I am not a fan of this film at all (my review), the performances aren't even that great; I recommend staying away. But if this captures your interest, enjoy it. Corbijn's follow-up to A Most Wanted Man, Life captures the nuances and complexities of the relationship between photographer and subject in a way rarely seen or understood by someone outside the business. In a nod to Corbijn’s own past experience, the film is told from the perspective of the Life photographer Dennis Stock (Pattinson) who meets and profiles Dean (DeHaan) for the magazine, turning out some of Dean’s most iconic photographs. Life is directed by photographer-turned-filmmaker Anton Corbijn, of the films Control, The American and A Most Wanted Man previously. The script is written by Luke Davies. The film first premiered at the Berlin Film Festival. 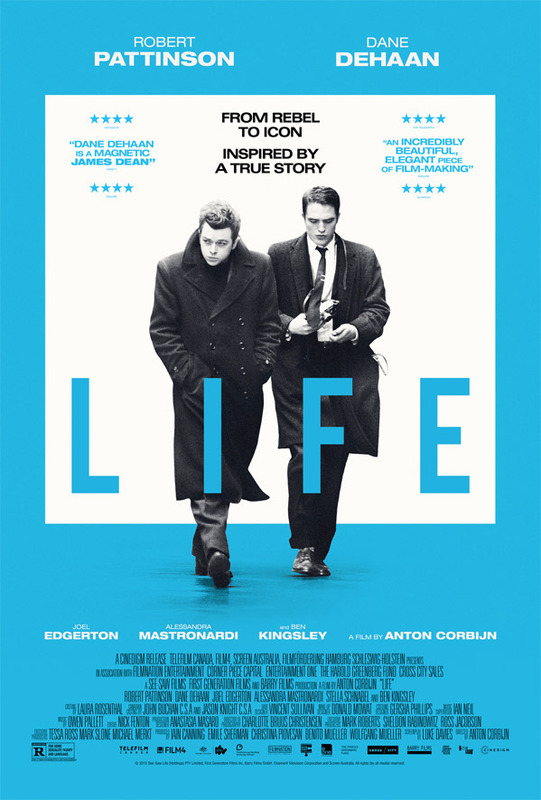 Corbijn's Life arrives in theaters this fall, but no date is set. It does look a little dress-up. Good. This looks good. DeHaan is a classic movie star in the making, I think. He seems to have everything necessary to become one of the greats.